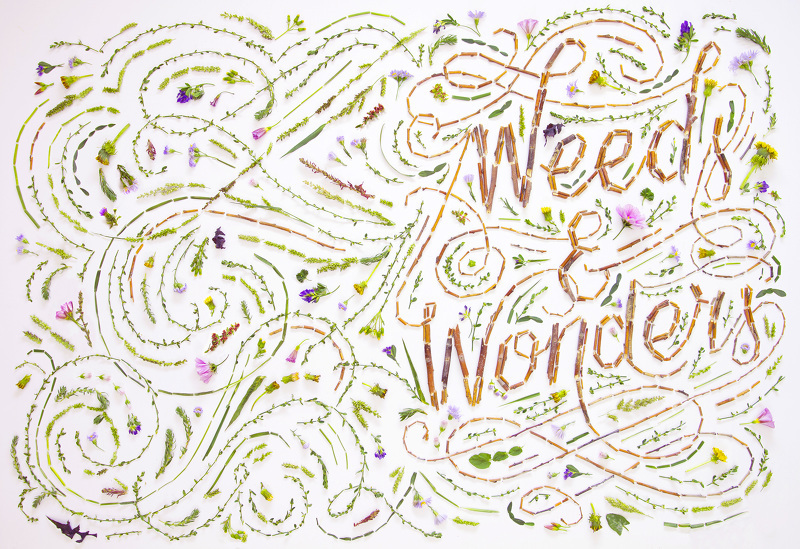 Becca Clason is tactile lettering artist based near Salt Lake City, Utah. 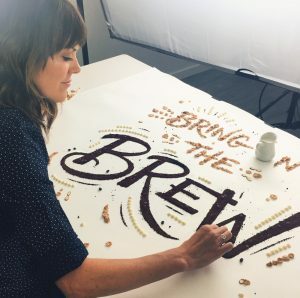 With her husband, Josh Clason, Becca runs a stop-motion and live-action lettering studio, working with brands and ad agencies to create social media videos and TV commercials. Brands they’ve worked with include Starbucks, Kellogg’s, Publix, Luna Bar, and variety of other food-related (and non-food) brands. 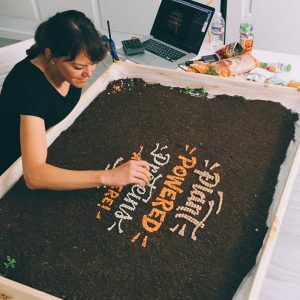 Here, Becca talks about how she started creating stop-motion videos, working with brands, and what it means to be creative with food products. Danielle Susi: Tell me about yourself! What’s your background? Your hobbies? Becca Clason: I constantly had a creative itch. I yearned constantly to create something of beauty, and I thrived off of the moments when I felt my muse really strongly. I loved drawing, painting, taking art classes while growing up. I loved creative projects in general, whether it was making videos with my friends, scrapbooking, photography, or crating handmade Valentine cards. While working as a full-time graphic designer, I discovered lettering in 2009 via design blogs, and it was like finding a soul mate. I knew lettering was what I wanted to create for the rest of my life, so I needed to learn how to do it well. Over the years since then, I’ve sketched, practiced, taken lettering and calligraphy workshops and classes. I started freelancing on the side in 2010-2011 for teeny, tiny projects. A few years later I began to work with a few bigger companies and brands, and in 2014 I happened to create some lettering using peppers and tomatoes from my garden in Los Angeles, and I was hooked. I found that I loved working with my hands and stepping away from the computer, so I started to create more tactile lettering and pursue that path. At the end of 2014 I signed with an agent, Snyder New York, and began doing my tactile lettering business full time in August 2015. Now my husband and I run our studio together and we create a lot of stop-motion videos using tactile lettering for companies all around the world. Outside of lettering and stop-motion videos, I’m a mom to an almost-two-year-old boy, so being a parent takes up a lot of my extra time right now. I love exercising (my current favorite is OrangeTheory Fitness), and starting last year, I challenged myself to run a half-marathon race every year. Faith is also important to me—I’m very involved in my church. I also love to read. I recently joined a book club that a retired AP English teacher in my neighborhood has been running for about 15 years. It’s the type of book club I’ve always dreamed about where we delve into themes, style, symbols, and language. I love it. DS: How did you get started in the kind of stop-motion lettering that you do? BC: In 2014, I was working on a freelance project for American Express, and the designs were supposed to be still images, but at the last minute, and ad agency I was working with requested that I do stop-motion animations of the designs. I responded saying, “Yes, I can definitely do that!” And then I had to quickly figure out the best way to make a stop-motion video. I was absolutely terrified the whole time I was executing that project, but as the saying goes, “What doesn’t challenge you doesn’t change you.” That project was a game changer for me, because it set me on a trajectory into the world of stop-motion, for which I’m very grateful! DS: Can you tell me more about stop-motion animation? What goes into that process? It seems tedious! BC: Basically I take a ton of photos and import them to my video editing program as a video clip, and that video is a stop-motion animation. I move a piece or pieces of the material and then take a picture, then I move another piece and take a picture—that sort of thing. Creating stop-motion video can be tedious, so one has to be a certain kind of person to create stop-motion videos. I have a lot of patience with it, I guess! DS: You seem to work a lot with food products in your shoots. 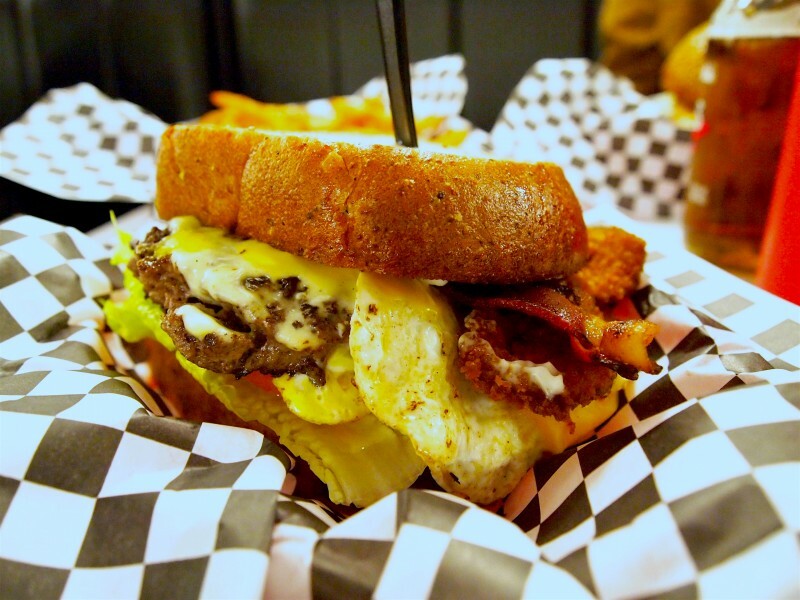 What is it like to work with food and grocery brands? How do they approach you? Do they already have an idea of what they want? BC: There have been times when I’ve reached out to brands, but usually my clients email me. They often already have an idea of what they want, but the level of that varies with every project and client. There have been times where I’ve come up with everything from the copy to concept and lettering to execution. More often there’s a specific product or promotion that a client/ad agency wants to push, and they provide me with the copy and the materials that they want to be used. After that my husband and I usually brainstorm concepts together, and then I create sketches or storyboards. DS: I’d love to know what it’s like to work with food as a tactile, perishable thing…a product that might get sweaty or sticky or gross or have a strange smell. BC: Usually I don’t have an issue with any of the products I use, but I’m not a big seafood fan, and one time I had to make a design using shrimp. That was a little rough! The studio did NOT smell great after the shrimp had been sitting out under studio lights for several hours. Haha. A couple years ago, when I was pregnant, I had to create lettering using barbecue sauce. The smell made me really nauseous, because I hadn’t been feeling great due to my pregnancy. I still can’t smell barbecue sauce without it bringing back that nauseous feeling! DS: Do you get inspired working with particular foods, grossed out by others? Are you partial to certain textures or smells? What happens to the food when you’re done using it for the shoot? BC: There are a few foods where I’ve thought “I really want to use this to create something,” like honey or certain types of candy. Typically, when I’m done with a shoot, everything gets thrown away, because I’ve been handling it with my hands or it wouldn’t be good to eat after sitting out for so long (like yogurt, milk, or meat). But there are usually extra materials that I didn’t use, and those I keep and use! 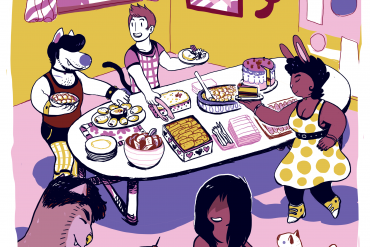 DS: What has been your favorite food-based project to work on? BC: This answer changes all the time. I really do love all of them, or at least aspects of all of them. One I particularly enjoyed was creating the Publix supermarket autumn gift card using pumpkin pie spices (Time-lapse video, still photo of gift cards). I was able to create some lettering I was really proud of, plus my studio smelled amazing! One of my favorite projects is always creating candy lettering valentines for Valentine’s Day every year. I’ve done it since 2015. Last year I used a hot glue gun to build the word “Love” out of nearly 2000 Starbursts. (2015/2016, 2017, 2018). DS: You have a pretty awesome Instagram account that gives folks a behind-the-scenes look at what goes into making your images or videos. As a freelancer, do you feel like there’s pressure to keep up a social media presence? BC: Yes, to some extent, but in a good way. For me, Instagram is a portfolio. It’s how I share my work and stay top of mind with potential clients and how I stay connected with other artists and friends in my industry. It’s how I get most of my jobs, so I like to keep up a social media presence, at least on Instagram.